Buying a motorhome or campervan for the first time?? 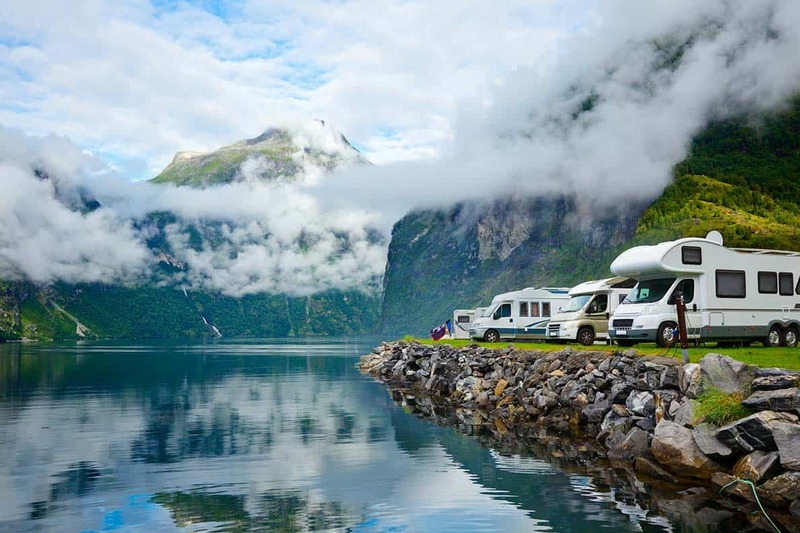 Wondering how to choose a motorhome? The whole thing is a weird mix of anticipation and nerves, isn't it? After all- you don't want to get it wrong! But there are SO. MANY. CHOICES! So we've put together a BUYING A MOTORHOME FOR THE FIRST TIME GUIDE. Welcome to part 1- how to CHOOSE your perfect motorhome! If you're new to the site- welcome! We travel Europe in our Motorhome, with our daughter and our puppy. In the past 18 months we've travelled 27,000 miles and visited 15 countries. We love sharing our travels, as well as tips and tricks we learn along the way. We hope you find them useful. Some posts on this site may contain affiliate links, meaning we make a small commission at NO extra cost to you. This allows us to keep sharing our knowledge on this blog- thank you for your support. View our DISCLAIMER for more info. Buying a motorhome for the first time led to us seeing some incredible places. How to choose a motorhome- what type? What is the Best Month to buy a used motorhome? How to choose a Motorhome – UK vs Europe layout? What is the Best motorhome to buy used? Can I drive an RV in the UK? Buying a motorhome for the first time- is it cheaper to buy in Europe? How to choose a motorhome to buy- fixed bed or not? Choosing a Motorhome- end bathroom? Buying a motorhome for the first time- test drive! Choosing a Motorhome- be open-minded but focussed. So you want to buy a motorhome? No, I'm not just being rude- this is one of the most important questions you should ask before you even start looking at motorhome for sale. WHY do you want to buy a motorhome? Do you want to stealth camp in the middle of cities? Are you hoping to wild camp for weeks on end? Do you want to head off for a week in the summer and enjoy the ease of taking your bed and kitchen with you, while the kids play in the campsite pool? There are many different types of motorhome, and just as many different reasons for owning them. I ALWAYS recommend renting a motorhome for at least a weekend first (which is something we DIDN'T do!) By renting, you get an idea of what you love, what you hate and what you can compromise on. If it's really not possible to rent, hopefully the following process will help you. Should you buy a motorhome or a campervan? How do you choose between the two? When we first started looking at motorhomes, we had NO IDEA what we wanted. We hadn't even really thought of getting one, but we wanted something to tow our motorbikes from country to country and give us a base to sleep in. Sounds simple enough, right? I always wanted a cool campervan. I am not cool, in any way, but I LOVE the idea that I could be if only we had a campervan. Sadly, we need to accommodate us and our teenage daughter, and we wanted her to be able to have her own space, so she could draw or listen to music at one end of the motorhome, whilst we worked or watched a video at the other end. So we wanted two totally separate sleeping areas. You don't get that in a cool campervan. I also wanted a dinette area and a fixed bed, so I didn't have to put away the bed each morning. Mr WB wanted something strong enough to tow the motorbikes (apparently not every motorhome is!) and something with decent sized water and waste tanks so we could wild camp for a few days at least. So a motorhome it was. Unsurprisingly, this narrowed down our choices a lot! I want to be a cool kid with a cherry red campervan. It's wrong for me in every way- but I still want it! In many respects, buying a used Motorhome is like buying a used car. The high season is around April- September, so if you buy outside that you might get a great deal. Motorhome shows are also a great place to land a good deal, both for new models or used, and there are many of these around the UK throughout the year. Another place to look is ex-hire vehicles. Our current Motorhome is an ex-hire, which allowed us to purchase a model normally outside our price range. Yes, there were a few things to fix and there is some cosmetic damage, but we are really happy with our choice. Another thing to consider is where you will be doing most of your travelling. We are based in the UK, but we prefer to adventure in Europe. Our first motorhome was a European layout (meaning the door is on the right side of the motorhome, whereas a UK layout has the door on the left (nearest the kerb). We have owned both layouts, and even though we do most of our exploring in Europe, our current motorhome has a UK door. We've never found this a problem, as we stay in aires where you can park either way around, but some campsites only allow you to park in a certain direction (we've found this more in the UK than overseas)- so you might consider this if you are staying on campsites a lot. How do you choose a motorhome with so many options on the market? Slowly figure out WHAT is important to you. An excellent question- if only we knew the answer! There is no BEST- it's whatever works for you. Sure, some brands are more reliable than others or have better reviews than others- but those brands are often more expensive and therefore out of budget for many people. I never ever recommend buying bigger than you need. Bigger motorhomes come with higher costs, higher toll charges, ferry fees etc- if we could, we would definitely downsize by at least a metre! We also went from having an overcab bed to having a lower profile model to reduce the toll fees in Europe- anything over 3m is charged as a truck! Don't forget that you can buy awnings and attachable rooms (often called safari rooms) to temporarily increase your living space. Make sure everyone has a comfortable place to sleep- nothing can ruin a holiday quicker than lack of sleep! Think about where the kids will go at night and where the adults will be. If you have pets, where will they sleep? There is no right or wrong answer, it's what is best for you and your situation. These are all just things to consider. Be very clear what your maximum weight is- and understand what that means! You need to find out a vehicle's MAM- Maximum Authorised Mass. This is its actual weight, PLUS the amount of cargo/ water/ fuel etc it is authorised to carry. If you passed your driving test on or after the 1st January 1997, you need to take additional driving tests to drive anything over 3.5tonnes (C1). With regards to towing, if you passed your driving test before 19th January 2013, and you have a B on your licence, you can tow trailers up to 750kg MAM (maximum authorised mass). You can also tow larger trailers if the combined trailer and vehicle MAM isn’t more than 3,500kg. Want to be able to do this with your van? A campervan is the way forward for you! It depends on its size! The maximum length of a motorhome allowed in the UK is 12m long and 2.55m wide. The measurements don’t include driving mirrors, rear bumpers, lamps, or reflectors. I also don't think it includes slide outs, as it's only the width whilst driving. There’s no height limit, but if the motorhome is over 3 metres tall you must have a notice showing the height where the driver can see it. We taped ours above the windscreen on the driver's side- it's amazing how often we glanced at it just to be sure. Put the height in feet AND in metres, to cover both UK and Europe. We looked into getting a French motorhome, but we actually found them more expensive. Gone are the days of getting good deals on the continent. Of course, you might find a bargain, so don't be put off looking, but don't be surprised by the high prices! What's the best motorhome? One that you will use! Again, there's no right answer. If you HATE making up a bed every night, then get a fixed bed. If you have a lounge, you'll need to make sure the bed is comfy to sleep on- and find somewhere to store the bedding during the day. Whilst we're on the subject of bathrooms, make sure you inspect the bathroom thoroughly. Stupid things like checking the shower fits over your head (ours doesn't- I have to crouch!) and that you can shut the bathroom door whilst you're on the toilet. Also, I like to do the towel test- close the bathroom door and pretend you are drying yourself with a towel. You'll be amazed how difficult it is in a lot of bathrooms without banging your elbow! Want to explore into the mountains with your motorhome? Choose one with good tank space. Test drive as many different motorhome models as you can before you buy. As with cars, all vehicles handle differently and you will find you prefer some makes over others. Also, remember you will likely be driving for longer than you normally do, so make sure the seats are comfy and the dashboard works for you. We look for things like cup holders, headrests, stereo (very important for our favourite Road trip songs!) and somewhere to put the Sat Nav. Our very first motorhome was the first motorhome we saw which ticked most of our boxes and was within our price range. Seriously, we spent less than 2 days researching and buying. I REALLY don't recommend this strategy! We sorta, vaguely, kinda knew what we wanted…. but ended up with something totally different. Our first motorhome just FELT right- which is a terrible way to buy a vehicle. Still, we had some brilliant great adventures in that van. Our second van was more planned, as we knew what we were looking for, but we still had to make compromises. Be open-minded with your search, especially if you're looking around at a show, but don't waste time looking at models which definitely aren't right for you. You'll end up feeling completely overwhelmed and the whole thing will start to lose its shine. Buying a motorhome for the first time? Think about size so you can camp somewhere like this on your road trips! Hi Kat , great blog follwed you and the family on U tube we have a Bessacar 496 and plant to tour france spain germany and switzerland end of april this year YIP EEE retired last month so me and the wife plan to escape ..can you recomend a good breakdown cover for our 2016 motorhome. Yay- congratulations! We are currently with the AA, but have never had to use them in Europe, so not sure if that’s a recommendation or not! 🙂 Their prices went up hugely this year though, so might shop around. Hi Thanks Kat, we are going to bite the bullet and go with Red Pennant not cheap but they seem okay when linked to their travel insurance after all we are now in our mid 60,s with bits dropping off …….”carry superglue in medical kit” thanks to you for the inspiration best wishes to the family. Roger n Sandra.